Trevor was raised in Royal Oak and has lived in Southeastern Michigan his entire life. 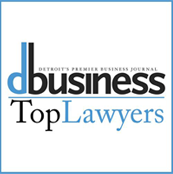 He started trying cases as a certified law student and after graduating from the University of Detroit Mercy School of Law, has dedicated his career to representing those who have suffered catastrophic damages as a result of the negligence of others. In addition, Trevor represents people who suffer the injustice of being wrongfully criminally accused or overcharged. For the past 13 years, he has litigated hundreds of cases and has recovered millions of dollars in settlements for his clients. Trevor is committed to representing and obtaining justice for individuals and to protecting the rights of ordinary people. 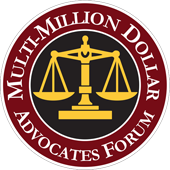 Trevor is a member of the Multi-Million Dollar Advocates Forum, a prestigious group of trial lawyers who have won million and multi-million dollar verdicts and settlements. 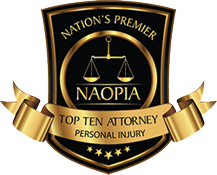 Fewer than 1% of all attorneys in the United States are members. 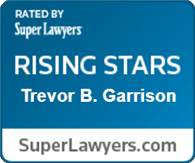 As a result of his commitment to his clients, Trevor was selected for inclusion in Michigan Super Lawyer’s Magazine as a “Rising Star,” of which no more than 2.5% of the lawyers in Michigan are named to the list. 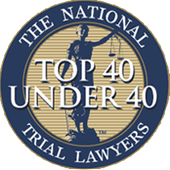 He was featured in DBusiness Magazine’s list of Top Lawyers, and was selected into the National Trial Lawyers Association: Top 40 under 40, which is a professional organization, by invitation only, comprised of America’s top young trial attorneys. 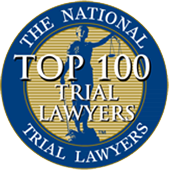 Trevor was recently selected into the National Trial Lawyers Association: Top 100 Trial Lawyers, and received the Nationally Ranked Top 10 Attorney Award for Excellence in the field of Personal Injury. In 2016, Trevor graduated from the Gerry Spence Trial Lawyer’s College in Dubois, Wyoming, which is an organization devoted to the jury system and to protecting people from corporate and government oppression. Trevor has obtained millions of dollars in settlements on behalf of injured victims; has overturned dozens of wrongful convictions; and obtained countless dismissals and acquittals for children and adults who have been wrongfully charged and prosecuted.